Top quality human virgin hair bundles from New Star, we use healthy Peruvian virgin human hair as raw material to make these bundles, never processed and full cuticles are kept facing the same direction, so there is little chance for the hair to get tangled or matted. If taken carefully by yourself, the Peruvian straight hair will last for a long time. Because of it is virgin hair, you can straighten, curl or do any hair treatment as you want, change your hair styles easily with these hair weaves. 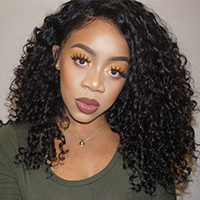 These Peruvian human virgin straight hair bundles have natural black and light brown color options, the hair texture is the same as human hair, will perfectly blend with your natural hair, give you the most natural full appearance.